When entering a new industry like financial planning, it is important to ask as many questions and to gain as much valuable wisdom from successful professionals that have “been there and done that” before you. Success is something that doesn’t happen over night, but it certainly can be learnt. And learning from successful professionals working in the financial planning profession is a great start on your journey to becoming a successful financial planner. Of course your trainers at Monarch Institute (whether they be your face-to-face trainers or your online/distance trainers) are a valuable resource you should make use of. Our trainers continue to work in the profession, are very successful, and are genuinely passionate about financial planning. So make sure you pick their brain throughout your financial planning course about all the elements of the financial planning industry in general, getting a job, the best way to network in order to get a job, and the right type of skills in their view that you need to become a successful financial planner. One thing you should consider at some stage is joining an Association that represents financial planners. 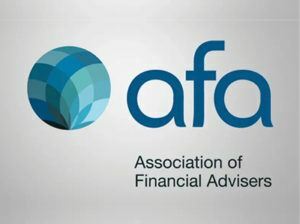 The Association of Financial Advisers (AFA) is an association that has been around for over 60 years. Monarch have personal experience that the AFA provides fantastic services and support. For example, they offer a mentoring program for new advisers. They offer workshops just for Generation X and Y. And they provide an engaging annual conference (…just to name a little), that is a must for many professionals looking to get CPD points, catch up with colleagues and of course network. The learning from the many workshop sessions at the annual conference is also generally very good. And it isn’t just all black letter financial planning strategies and legislation changes either. In fact the last one we went to last year had Mia Freedman as one of the plenary speakers. She was excellent, a great speaker! So once you have finished Monarch Institute’s ASIC accredited financial planning course, the next step is a job and then maybe membership to the AFA….good luck! Here is a video about the AFA Enjoy!